Hamilton - and Aaron Court Motor Inn - is an ideal place to base yourself if you want to explore the greater Waikato region. One of the townships that are well worth a visit is Raglan, to be found within a 45 minute leisurely drive. Mt Karioi, a dormant volcano also known as the Sleeping Lady dominates the coastal town. It is almost hypnotic. The mountain was a spiritual influence for the early Maori inhabitants and features in several Maori tales. Raglan is a true surfer’s paradise, boasting the longest left-hand surf break in the Southern Hemisphere at the world renowned surf beach of Manu Bay. 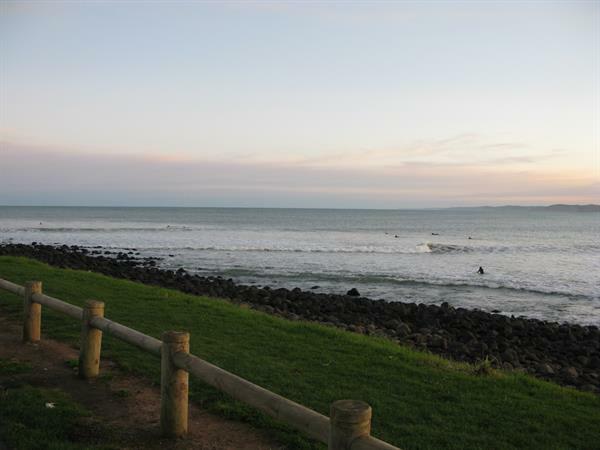 Raglan attracts surfers from all over the world and the Bay has been the stage for many international surfing competitions. This unique little town on the rugged west coast of the North Island is also famous for its black volcanic sand, music, art, cafés and lifestyle. Holiday makers and tourists flock to the township, attracted by the laid back bohemian lifestyle offering an escape from the everyday life. Once you visit Raglan, you may find it hard to leave.